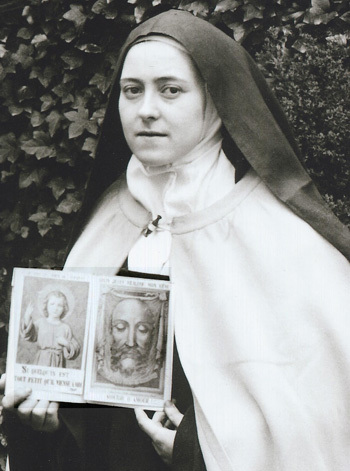 In Tours, France a young Carmelite nun, Sister Marie de Saint-Pierre (1816-1848), received a series of revelations in the 1840s from Our Lord about a powerful devotion He wished to be established worldwide – the devotion to his Holy Face. The express purpose of this devotion was to make reparation for the blasphemies and outrages of the ‘revolutionaries’ of that time, the blasphemies of atheists, freethinkers and Masons, and for blasphemy and the profanation of Sundays by Catholics. “Then He unfolded His Heart to me, concentrating therein the powers of my soul, and addressed me thus: ‘My Name is everywhere blasphemed; even little children blaspheme it.’ And He made me understand how that dreadful sin pierced and wounded His Heart more than all other crimes. Our Lord then dictated to Sr. Mary the following Golden Arrow prayer, assuring her that every time she said it, she would lovingly wound His Heart. May the most holy, most sacred, most adorable, most incomprehensible and ineffable Name of God be forever praised, blessed, loved, adored, and glorified in Heaven, on earth and in Hell, by all the creatures of God, and by the Sacred Heart of Our Lord Jesus Christ in the Most Holy Sacrament of the Altar. Amen. O Lord Jesus Christ, in presenting ourselves before Thy adorable Face, to ask of Thee the graces of which we stand in most need, we beseech Thee above all, to grant us that interior disposition of never refusing at any time what Thou requires of us by Thy holy commandments and divine inspirations. Amen. O Good Jesus, who has said, “Ask and you shall receive, seek and ye shall find, knock and it shall be opened to you,” grant us O Lord, that faith which obtains all, or supply in us what may be deficient. Grant us, by the pure effect of Thy charity, and for Thy eternal glory, the graces that we need and that we seek from Thy infinite mercy. Amen. Be merciful to us, O my God, and reject not our prayers, when amid our afflictions, we call upon Thy Holy Name and seek with love and confidence Thy adorable Face. Amen. 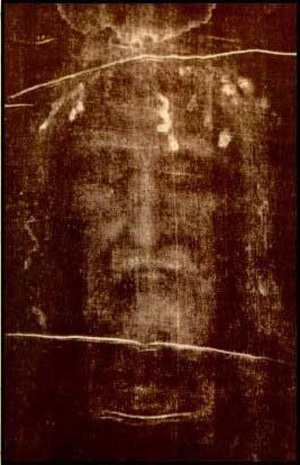 O Almighty and Eternal God, look upon the Face of Thy Son Jesus. We present It to Thee with confidence to implore Thy pardon. The All-Merciful Advocate opens His Lips to plead our cause. Hearken to His cries, behold His tears, O God, and through His infinite merits, hear Him when He intercedes for us poor miserable sinners. Amen. Adorable Face of Jesus, my only love, my light and my life, grant that I may know Thee, love Thee and serve Thee alone, that I may live with Thee, by Thee and for Thee. Amen. Is Holiness Sentimental Softness or Strength of Soul?